In college, I was always fascinated by my Ugandan friend’s account of the Kabaka of Buganda, of his palace located in Kampala, and of the rich tradition of the Buganda Kingdom. 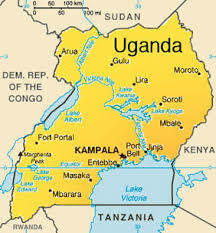 I started wondering what the capital of Uganda‘s name meant. After all, its name is beautiful, Kampala, resonant with grace, peace, and radiance. 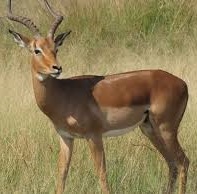 I was pleasantly surprised to find out that Kampala indeed was named after the graceful impala antelope. Yes, indeed, before the arrival of the British in the area, the Kabaka (King) of Buganda had chosen the area as his favorite hunting ground because of its numerous rolling hills, and wetlands. This area was also home to several species of antelopes, and particularly the impala. When the British arrived in the region, they renamed it ‘Hills of the Impala’. The translation in Luganda, the language of the Buganda people, yielded Kasozi Ka Empala (Kasozi Ka meaning hill of), and Empala being the plural for impala. To the listening ear, Ka Empala sounded like one word Ka’Mpala. When the king would go hunting, the Buganda people would say Kabaka a’genze e Ka’mpala (the Kabaka has gone to Ka’mpala). Thus was born the name of the city Kampala. Kampala then grew to be the capital of the Buganda Kingdom. A lot of cultural heritage buildings can still be found there, such as the Kasubi Tombs, built in 1881, to house the tombs of previous Kabakas. 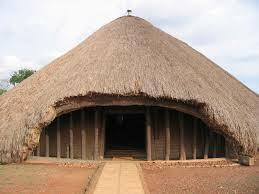 The Kasubi Tombs have been recognized as UNESCO World Heritage Site. Kampala is also home to Lubiri Palace (the royal house of the Kabaka), the Buganda parliament, and the Buganda court of justice. In 1962, Kampala replaced Entebbe as the capital of Uganda. A big part of the city was destroyed during the war with Tanzania in 1978, which culminated with the removal of Idi Amin Dada from power in 1979, and the civil war. The city has since then been rebuilt. Kampala Hill: the hill of the impala which hosts the ruins of Fort Lugard. This hill gave its name to the city. With time, the city spread to Nakasero Hill where the administrative centre and the wealthiest residential area are, Tank Hill, where the water storage tanks that supply the city are located. Mulago Hill is the site of Mulago Hospital, the largest hospital in Uganda. 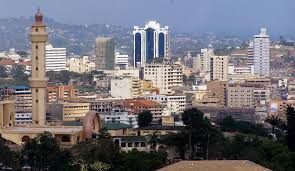 The city is now rapidly expanding to include Makindye Hill and Konge Hill. Kololo Hill to the east of Nakasero hill, is the highest hill in the city, at 1,300 metres above sea level, and is home to the Uganda Museum. As one can see, Kampala is truly a city of hills. Maybe it should be nicknamed the city with the thousand hills or hundred hills. Today, Kampala is a vibrant city, full of history, and modernism. Enjoy this video of Kampala. It is just a matter of phonetics: Ka Empala (Empala is the plural of Impala) sounded so much like Ka’Mpala to people, that it gave rise to the name Kampala.